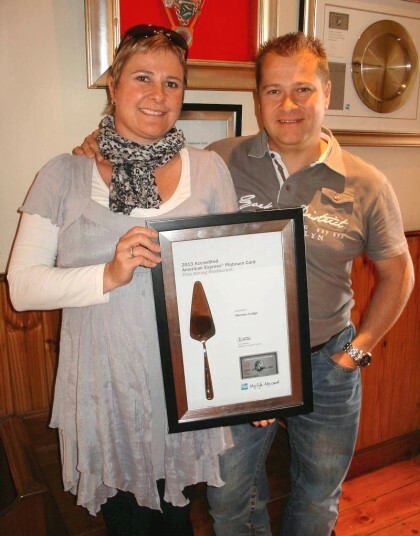 Mimosa Lodge received it's 6th American Express Platinum Fine Dining Award this month! This year�s judging panel comprised well known restaurant critic, Victor Strugo, food writer Anna Trapido and Cape Town �foodie� Tamsin Snyman, assisted by anonymous assessors. Selection criteria for inclusion in the programme include quality and creativity of cuisine, service, wine list, d�cor and ambience as well as overall excellence and American Express card acceptance.